We’ve covered many fashion apps for the iPhone but we don’t think any of them compare to this one. 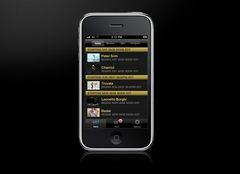 Gilt on the Go is a free iPhone app which lets you preview, shop and purchase your favorite Gilt Groupe looks. And we think it’s perfect for those looking for a bargain or two. 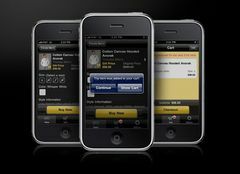 The app sends sale alerts straight to your phone, letting you be the first to enter a sale no matter where you are. You can shop current sales, checkout in under one minute, preview upcoming sales and select your favorite categories in just one click. What more could we fashion loving technology girls want? Yes, I absolutely love shopping on member-only sites for saving money online. I have been finding the best deals at Rue La La and Gilt as of late. However, you have to get to the sale fairly early when it opens because these deals are selling out so fast. I’ve hesitated on buying an item I wanted and then a few hours later it was already sold out. Such is life. Just so you know… Here are a few other invitation codes to Members Only shopping websites to go and check them out for yourself. Happy Shopping and Saving.